The National Association of Letter Carriers (NALC) is proud to announce the collection of nearly 225,000 pounds of food on Saturday during the 25thannual Stamp Out Hunger food drive. 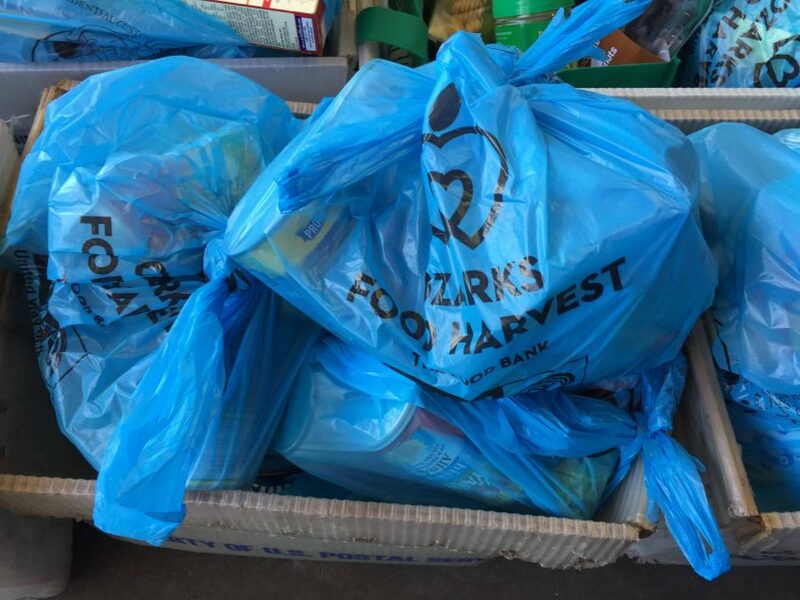 The NALC, United States Postal Service, AFL-CIO Labor Engagement Partnership with United Way of the Ozarks, and local food pantries worked all day Saturday collecting and sorting food that residents left at their mailboxes. All donations go directly to local Ozarks Food Harvest food pantries include The Salvation Army, Crosslines, Victory Mission, and Grand Oaks Baptist food bank. This number is preliminary as more food will continue to trickle in this week. Last year’s event collected more than 255,000 pounds of food for local food pantries. Several partners are assisted the NALC in the food drive: the U.S. Postal Service, the National Rural Letter Carriers’ Association (NRLCA), the American Postal Workers Union, the United Food and Commercial Workers International Union (UFCW), Valpak, AFL-CIO Labor Engagement Partnership with United Way of the Ozarks, Ozarks Food Harvest, the AFL-CIO, the AARP Foundation and Valassis. For more information, visit www.nalc.org/food.